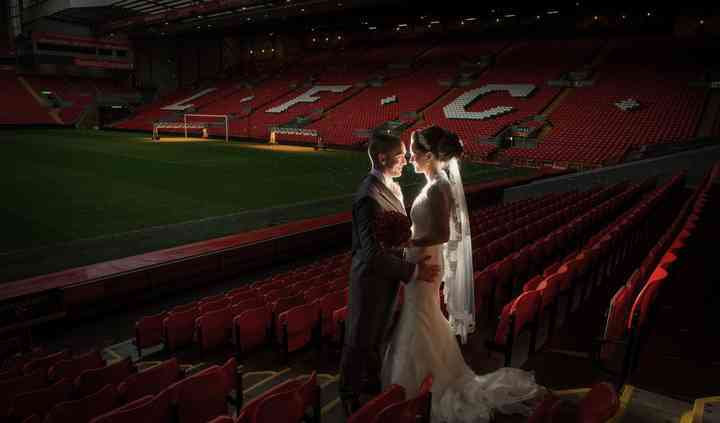 At Liverpool Football Club we are no strangers to hosting memorable occasions and your wedding day will be no exception. Our Wedding Packages are designed with simplicity in mind, our beautiful lounges will compliment your wedding theme and there are photo opportunities a plenty all around the Stadium. 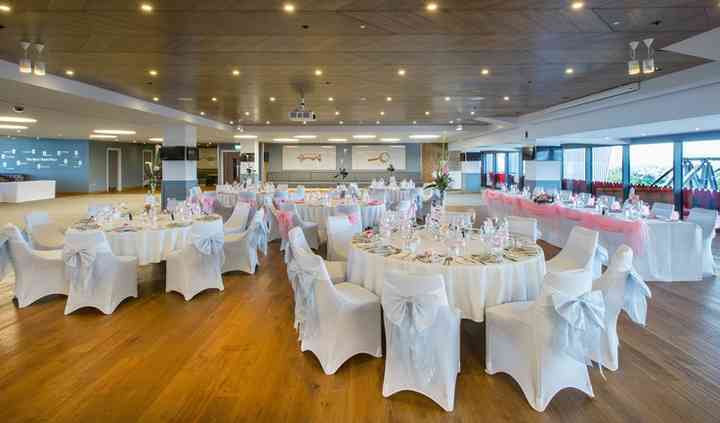 It doesn't matter if you are dedicated football fans or couples looking to have their wedding day encased in a unique venue: Liverpool Football Club will make sure the day is a spectacle to remember. Anfield offers intimate table seating, with each table being able to accommodate 8-10 guests. The straight tables can hold up to 14 wedding guests, for those who want slightly larger tables. Anfield has a series of lounges that can host an assortment of wedding parties and receptions. A selection of our rooms offer a glazed front with outstanding views of the famous Anfield Stadium, creating a memorable backdrop and talking point for your guests. The lounges are able to host up to 500 guests for dinner and have been designed to offer a versatile space that can adapt to numerous conference, meeting or corporate occasions. Liverpool Football Club offers multiple wedding packages at affordable prices that can appease any preference. Wedding parties can start the day off with the exclusive Wedding Breakfast Packages or end the special day with their Evening Buffet Packages. Packages are tailored to suit the needs of the wedding parties, and the venue can be laid out as such. 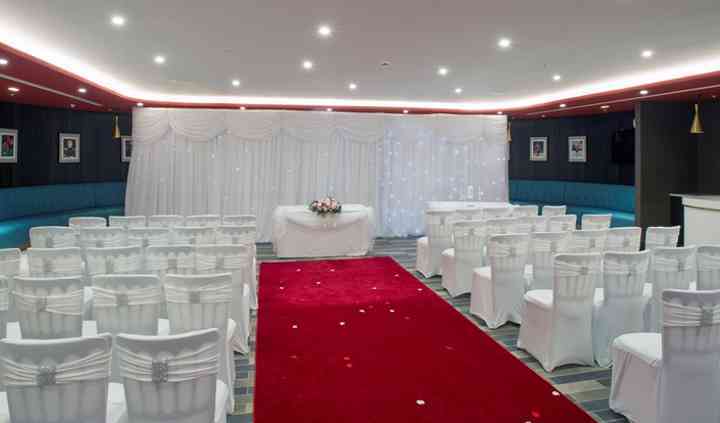 Liverpool Football Club is also licensed for Civil Partnerships and Civil Ceremonies, so those planning a Civil Partnership or Civil Ceremony can also find some great day and night packages to top off that special day and make it even more memorable. Their Wedding Coordinator can run through all of the options available to ensure that all clients get the wedding day that they deserve. Anfield's seasoned team of chefs can whip up some amazing creations using only the finest, locally sourced ingredients. If wedding parties are looking for meals that are more customised then their Executive Chef can collaborate with the wedding party to make a menu that can satisfy everyone. Anfield Stadium is in a central location and can be reached by virtually every mode of transportation. Those of the wedding party arriving by car can approach it from the North, South & East and Wales via M6 Junction 23, M62 or the Mersey Tunnel. The airport is located a mere 10 miles away, and taxis or buses are all readily available there. The train and public bus are also viable options to get to the stadium. I know that having a wedding in a football club is not everyone's ideal place, especially if you are the bride, but it was me who chose it. My husband is not even a fan of football but it was the best ... Read more venue we chose.